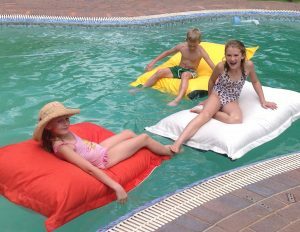 We have been manufacturing our Aluminium umbrellas for the past 20 years and offer a robust attractive product completely manufactured from South African materials. 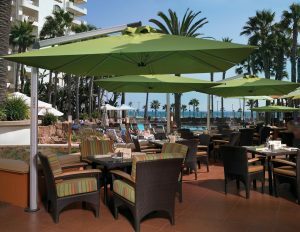 Every part of our umbrellas can be replaced by piece extending the life of our product for years. 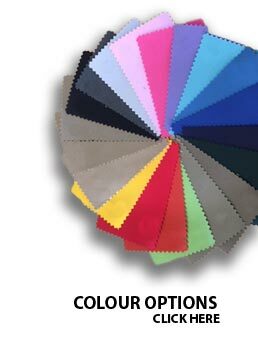 All our umbrellas frames are powder coated in a variety o colours offering our customers the option of choosing a colour that suits their special needs for both indoor and outdoor entertainment areas. Our umbrellas are available in both Centre Post or our ever popular Side Post range. An optional Wheel Base is available for all Free Standing umbrellas. (See base options) The Side Post umbrella is available in both the Standard or the New trendy Laguna range offering both style and the practical advantage of not having an umbrella in the Centre of your table. 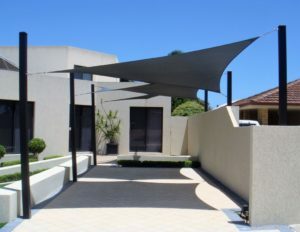 These umbrellas have a number of base options from free standing to fixed mountings for Wall, Concrete floor, Wooden deck or Lawn We also offer a range of printing on all our umbrella products.